Vancouver feels oceanous, Toronto smells sprawly, Cleveland tastes, well, I’ve never been to Cleveland… when they move to Brooklyn they sound like CANDIDLAND. Come to the swearing in ceremony for CANDIDLAND’s first citizens this Monday at Two Moon Café, 9pm. 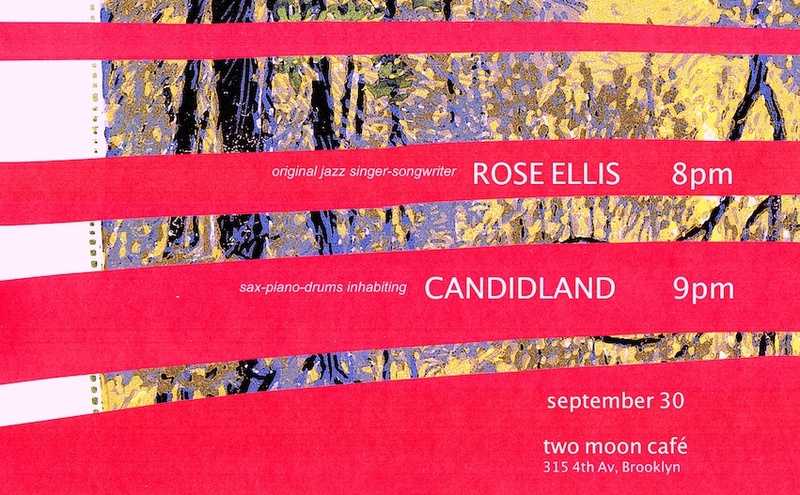 Be sure to arrive at 8pm for Rose Ellis.